TAGBILARAN CITY, Bohol July 24, (PIA)â€”Eight Boholanos who have excelled in their chosen fields of endeavor, demonstrated a Boholano brand of leadership and have continually engaged themselves in community and humanitarian service join the 57 other winners in The Outstanding Boholanos Around the World (TOBAW) after an awarding ceremony July 27 at 6:30 this week at the posh Bohol Tropics Resort. TOBAW is for qualified Boholanos here and abroad whose community and humanitarian service through their excellence in their chosen fields contribute significantly to the betterment of the community and the nation, according to the search committee comprised of representatives from the sponsors. Sponsored by the Tigum Bol-anon sa Tibuok Kalibutan (TBTK), First Consolidated Bank of Bohol, in partnership with the Provincial Government, Diocese of Tagbilaran, Bohol Chronicle and DYRD and Bohol Chamber of Commerce and Industry, TOBAW opens itself to Boholanos who are modeling others in the fields of agriculture, business and entrepreneurship, communication and literature, education, engineering, law, military service, public service, science and medicine and visual and performing arts. Dr. CaÃ±ete completed her master’s and doctorate degrees in Germany and still teaches at the VSU specializing on insect taxonomy and systematics, according to Reigh Monreal, a batchmate and Dr. Cenizaâ€™s close friend. In the field of the Arts, Boholano professor at the University of the Philippines, Leo Antonio Abaya, gets this yearâ€™s distinction as among the outstanding Boholanos. Professor Abaya is currently the Graduate Program Coordinator of the University of the Philippines College of Fine Arts. Another winner for the distinction is a fashion designer and in the field of arts, Luciano Pamaong Jr., is a stand out. Luciano â€œShanonâ€ Telmo Pamaong Jr., of Tagbilaran City had his high school at the Bohol High School Class of 1966, and proceeded to Manila where he ventured into fashion designs. 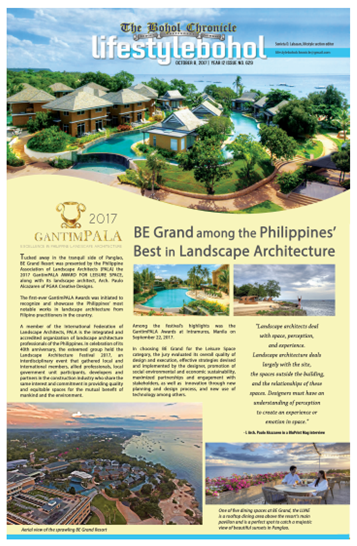 He founded the Fashion Institute of the Philippines and is currently based in Pasig City, according to Fiel Angeli Gabin. In the field of education, a Boholano who has been awarded among the Ten Outstanding Young Men of the country for political science, is a Boholano from Duero. Dr. Jose Abueva was so good he was made to serve as the 16th president of the University of the Philippines, and is still sought after as a constitutionalist and staunch proponent for federalism. In the field of Law, Atty. Virgilio L. Mendez carved a different route: that of the usual Boholano hard work staying low out of the radar and then when he rose to visibility, he sat on top of the countryâ€™s top investigation agency. 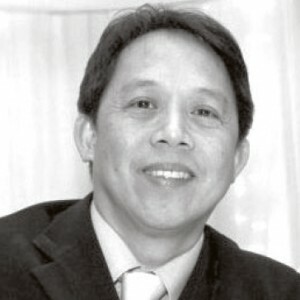 A native of Bohol, Mendez served as National Bureau of Investigations as Regional Director for Region X in 2004, Deputy Director for Comptroller Services from 2007 to 2009, and Deputy Director for Administrative Services from 2009 to 2011, until his appointment to lead the NBI, the country’s top investigation arm. Another Boholano doctor, Dr. Nicanor Lopez, a Loonanon, had to make his way from elementary to high school in his town before venturing to take his pre-med and medical course outside Bohol. An established ER Doctor who practiced his profession in Pennsylvania and then in Philadephia, Dr. Nick soon held key positions with Filipino and Boholano organizations until he was chose as president of the Confederation of Boholanos in the USA and Canada, when he, along with Boholanos, molded the beginnings of the TBTK, which is in Bohol now. In the field of protective services, here is a Boholano from Tagbilaran, who rose from the ranks to become among the top officials of the police in the country. Chief Supt Edgardo Ingking started his illustrious career, after graduating at the Philippine Military Academy in 1982, as a Philippine Navy officer, where he had stints on board four Navy and two Coast Guard ships for five years, became Cebu and Ormoc Coast Guard Station Commander. In 1991, Ingking joined the PNP and had stints in the Maritime service until he was promoted regional chief to a key post at the Police Region Officeâ€“7, where he got a scholarship abroad to return as Bohol Provincial Director. Years later, he got his one star general rank, making Boholanos proud. Finally, in the field of public service is Archbishop Bernardito Auza, of Talibon. He entered the Immaculate Heart of Mary Seminary then enrolled at the University of Santo Tomas, Manila, where he obtained his Licentiate in Philosophy in 1981, Licentiate in Theology in 1986 and Masters in Education also in 1986. Ordained bishop in 1985, bishop Auza was sent to study in Rome, where he obtained a Licentiate in Canon Law in 1989 and a Doctorate in Sacred Theology in 1990, and then to the Vatican Diplomatic where he finished his diplomatic and linguistic studies. He went into a diplomatic service for the Holy See in several assignments until he was appointed in 2014, as Permanent Observer to the United Nations in New York representing the Holy See. This yearâ€™s TOBAW completes the 65 awardees since the first awarding in 1999 until the fifth, this year.